By signing up for the GenuineSoccerTips service ("Service") or any of the services of GenuineSoccerTips . (" GenuineSoccerTips "), you ("You", "The Customer" or the "User") are agreeing to be bound by the following terms and conditions ("Terms of Service"). GenuineSoccerTips reserves the right to update and change the Terms of Service by posting updates and changes to the GenuineSoccerTips website. You are advised to check the Terms of Service from time to time for any updates or changes that may impact you. You must provide a valid email address, your full legal name, and any other information needed in order to complete the signup process. You may not use the GenuineSoccerTips service for any illegal or unauthorized purpose nor may you, in the use of the Service, violate any laws in your jurisdiction (including but not limited to copyright laws) . You are responsible for keeping your password secure. GenuineSoccerTips cannot and will not be liable for any loss or damage from your failure to maintain the security of your account and password. A breach or violation of any of the Account Terms as determined in the sole discretion of GenuineSoccerTips will result in an immediate termination of your services. GenuineSoccerTips does not warrant that the results that may be obtained from the use of the service will be accurate or reliable. GenuineSoccerTips does not warrant that the quality of any products, services, information, or other material purchased or obtained by you through the Service will meet your expectations, or that any errors in the Service will be corrected. GenuineSoccerTips does not warrant that the service will be uninterrupted, timely, secure, or error-free. Any information published by GenuineSoccerTips is for informational and entertainment purposes only. In no event shall GenuineSoccerTips or our suppliers be liable for lost profits or any special, incidental or consequential damages arising out of or in connection with our site, our services or this agreement (however arising including negligence). You agree to indemnify and hold us and (as applicable) our parent, subsidiaries, affiliates, GenuineSoccerTips partners, officers, directors, agents, and employees, harmless from any claim or demand, including reasonable attorneys' fees, made by any third party due to or arising out of your breach of this Agreement or the documents it incorporates by reference, or your violation of any law or the rights of a third party. You agree not to reproduce, duplicate, copy, sell, resell or exploit any portion of the Service, use of the Service, or access to the Service without the express written permission by GenuineSoccerTips . Verbal or written abuse of any kind (including threats of abuse or retribution) of any GenuineSoccerTips customer, GenuineSoccerTips employee, member, or officer will result in immediate account termination. GenuineSoccerTips does not accept any form of gambling, betting or wagering. GenuineSoccerTips is not responsible for any loss or damage for the customer, either direct or indirect, as a result of using this information for gambling or betting. The failure of GenuineSoccerTips to exercise or enforce any right or provision of the Terms of Service shall not constitute a waiver of such right or provision. The Terms of Service constitutes the entire agreement between you and GenuineSoccerTips and govern your use of the Service, superseding any prior agreements between you and GenuineSoccerTips (including, but not limited to, any prior versions of the Terms of Service). Any misuse, misconduct or other abuse of the relationship with GenuineSoccerTips will result in immediate cancelling of any relation between the customer and GenuineSoccerTips . Questions about the Terms of Service should be sent to contact@genuinesoccertips.com. Customer is to be billed in advance by GenuineSoccerTips for the subscription offered. Before the subscription is available for use, customer must accept the terms of business as presented. All plan levels are billed in advance on a monthly basis. You can cancel your subscription at any time by contacting us, however, GenuineSoccerTips .com does not offer refunds for any payments already made, unless you have used our services for 90 days and you can prove that after this 90 days using Martingale system you didn't get profits. Your access to the Service will be deactivated without notice for failure to pay any amount due within one (1) calendar days of the due date. Prices for using GenuineSoccerTips are subject to change upon 14 days notice from GenuineSoccerTips . Such notice may be provided at any time by posting the changes to the GenuineSoccerTips Site or the administration menu of your GenuineSoccerTips account via an announcement. GenuineSoccerTips reserves the right at any time to time to modify or discontinue, the Service (or any part thereof) with or without notice. GenuineSoccerTips shall not be liable to you or to any third party for any modification, price change, suspension or discontinuance of the Service. We reserve the right to modify or terminate the GenuineSoccerTips service for any reason, without notice at any time. Fraud: Without limiting any other remedies, GenuineSoccerTips may suspend or terminate your account if we suspect that you (by conviction, settlement, insurance or escrow investigation, or otherwise) have engaged in fraudulent activity in connection with the Site. 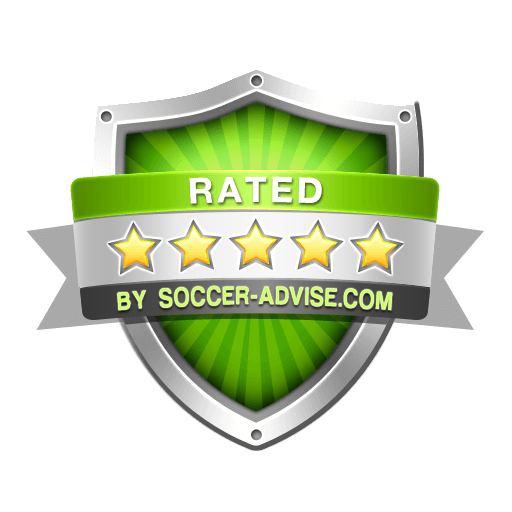 Users may send an email to the following address: contact@genuinesoccertips.com if they have any questions or require any information about the Charged Service and the status of their registration. GenuineSoccerTips undertakes to answer these questions or requests for information as soon as possible.